I'll tell ya... every once in a while one of these things falls in your lap that just reinvents the whole game. I'll just preface this by saying I'm a fan of the Chuck Norris propaganda that has been floating around over the past few years, although it's a little played out by now. But i think this is the next man to break onto the scene of pseudo-celebrity turned pop culture icon: Judge Wapner. That's right, i said Wapner. For those of you who don't know who this mountain of a man is/was, he was the presiding star of a popular TV court room show for real life small claims trials. The People's Court ran throughout the entire decade of the 1980's and into the early 90's. This man is a pioneer. Judge Judy and Judge Joe Brown had better be worshiping this guy's image every night before bed because they wouldn't even have a career without him. 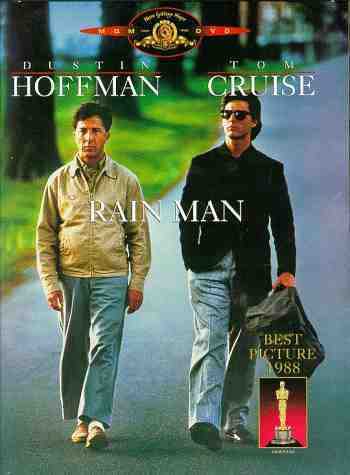 I've even heard that Wapner was so influential that even Dustin Hoffman would rearrange his whole schedule to make sure he watched the show. He would allegedly freak out if he couldn't watch it. He man... gotta watch Wapner... Although i could go on and on introducing this man who has made my childhood life seem just and fair, seeking justice for the wrongs of the small claims court universe, but i'll let the root beer do the rest of the talking. Judge Wapner Root Beer comes to us from Blue Dog Beverages. This root beer has been around since the dawn of time and has been waiting for the right person to come along to represent it fairly in a court of law. It appears to be more than just coincidence. Spoiler alert! : before i even tried this, i knew it would at least get 7 IBCs. The only way to truly represent this 12 oz. glass bottle justly is to prominently display a gloriously terrifying portrait of the man who has struck so much fear into small claims evil-doers hearts. Judge Wapner's portrait carries so much credibility that you don't even need to write anything on the label. But what the heck, let's do it anyway. Aside from the name of the root beer, the judge declares with a booming voice, "I sentence you to drink my root beer!" That has to be the best punishment anyone could ever get. This label is so incredible that Wapner can use it as an official form of identification, even for airport security purposes. And if you ever get pulled over, be sure you have one of these babies riding shotgun so the cops know you can't be intimidated when the law is on your side. But probably the best part of this whole charade is that this is actually a pretty good root beer. It tastes similar to Jack Black's Dead Red Root Beer, but it's much more subtle on the flavor and has more carbonation for more of a bite. He probably wanted it to be that way so you can understand how it feels when he throws the book at you. Whether you're drinking his root beer or being sued by your neighbor, he wants you to understand what a privilege it is to have him presiding over your experience. My official review is that Judge Wapner gets 8 (eight) IBCs. You can't run away from the law just like you can't run away from great taste. That's why i wouldn't dare give this thing any less of a rating. But in all seriousness, it's a good root beer, similar to many others, but the persona and the bite it packs pushes it above the rest. So go drink this root beer and then report back to your parole officer!